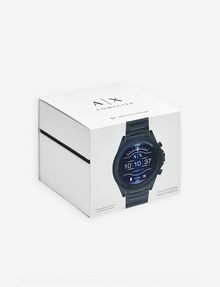 Unapologetic style meets tech utility with the introduction of the Armani Exchange Connected touchscreen smartwatch. 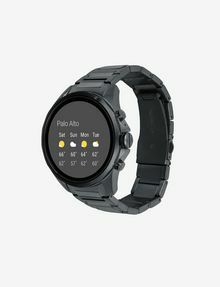 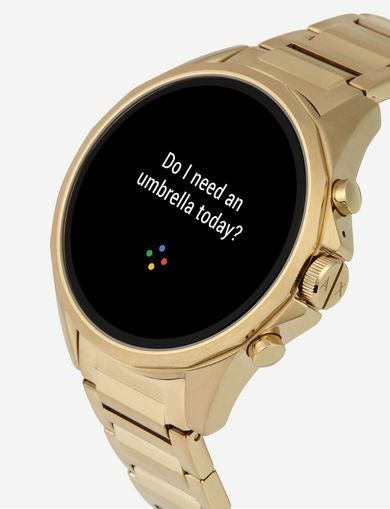 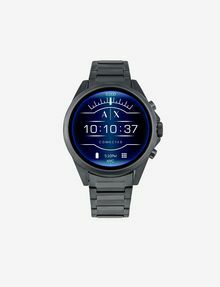 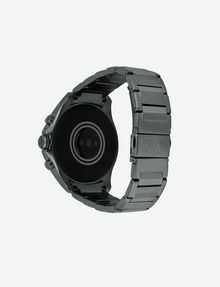 With the modern, fun styling of A|X design and the benefits of today's wearable technology, the touchscreen smartwatch is compatible with both iOS® and AndroidTM phones, and are powered with WearOS by GoogleTM and the Qualcomm® Snapdragon WearTM 2100 smartwatch platform. 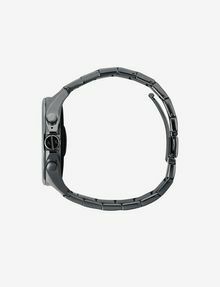 Stay connected with messages and notifications delivered directly to your watch. 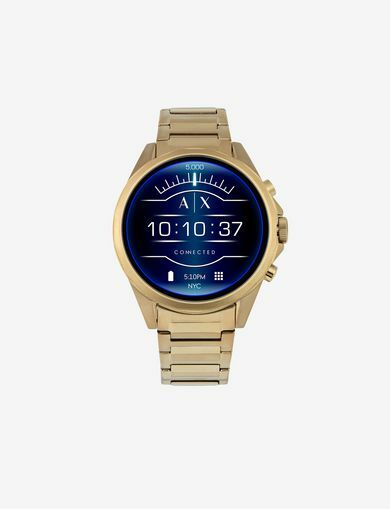 A customizable dial means you can always match your look. 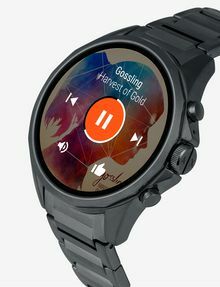 Track activity and heart rate or access your music library by connecting to your favorite apps. 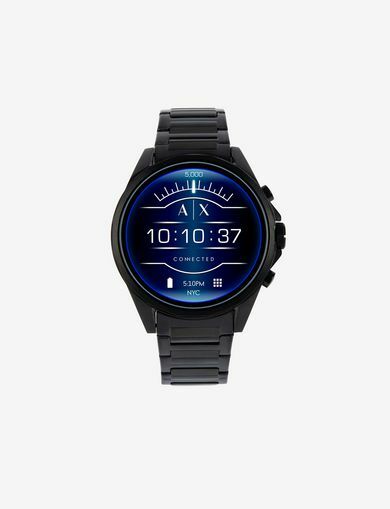 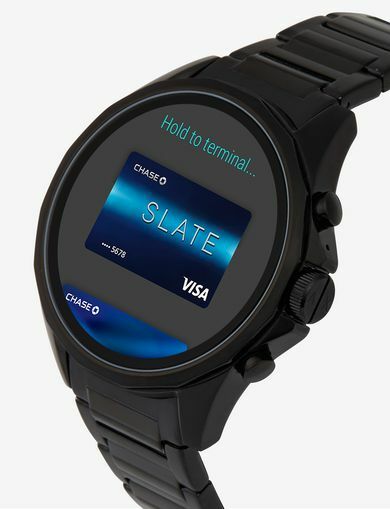 This blue stainless-steel touchscreen smartwatch features a blue dial with full display and is complemented by a blue stainless-steel H-link bracelet.